Myles Kennedy has got to be one of the most talented but under rated musicians of all time. He is one of my all time favorite vocalists, but there is much more to him than his voice. Many people will have heard his voice and know the songs, but do not know his name, very much like Gary Moore. Photo Myles Kennedy by Adam Chalmers. Not only is he an incredible vocalist, he also writes songs. 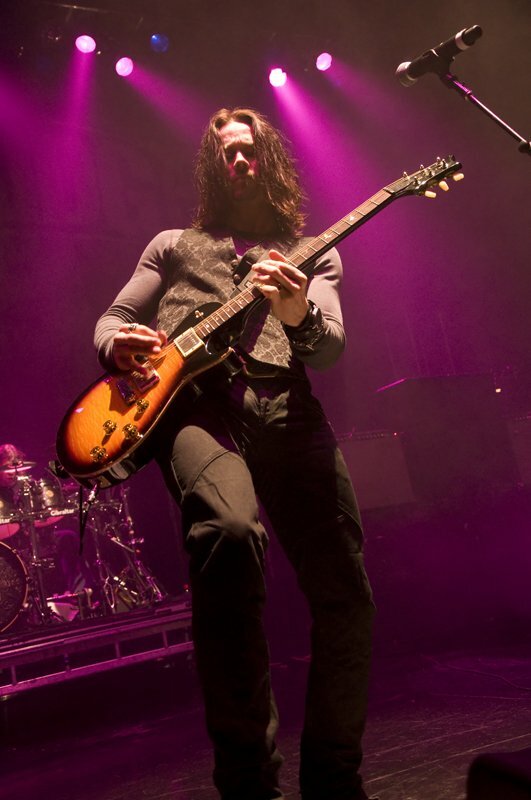 He has been in a few bands, from jazz fusion to rock, from Slash to Alter Bridge, with a little Mayfield Four in between. I am not going to write his life story, there are a couple of great fan sites already out there, not to mention there are other articles about him all over the web. I am going to concentrate on his music. I am kicking this thing off with “Hallelujah” since I mentioned his version of it on my Top Male Rock Vocalists post last month. I love his version of this song… he can sing it to me all day. My ALL TIME favorite Mayfield Four Song… “Eden (Turn The Page)”. If you want to hear and see a YOUNG Myles Kennedy, the bass player from Citizen Swing, Dave Turner, has a lot of the videos from their live shows on his you tube page. Check them out! I am sure I am gonna take a hit for this, BUT my opinion and I am entitled to it…. Myles sings “Patience” better than Axl Rose ever could…. I could literally be here all day sharing Myles Kennedy videos…. But.. now you have a name to put with that golden voice… GO FORTH!!! SPREAD THE WORD! I look forward to hearing more from this artist! It’s great to know the name with the voice!